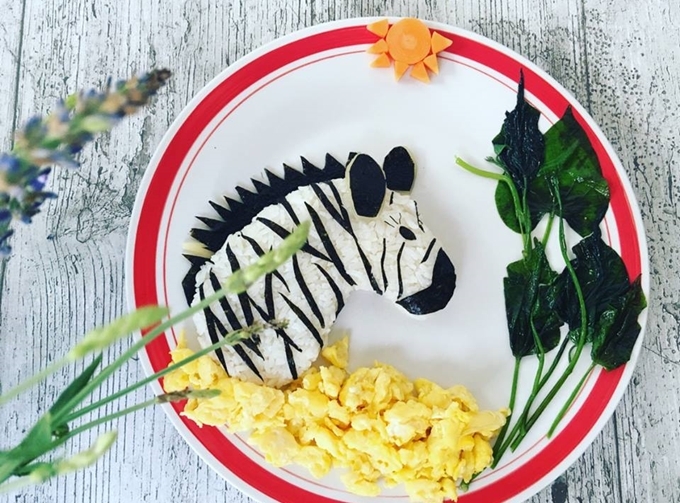 Lan Le carves her children’s food into the shapes of things they found most exciting recently. 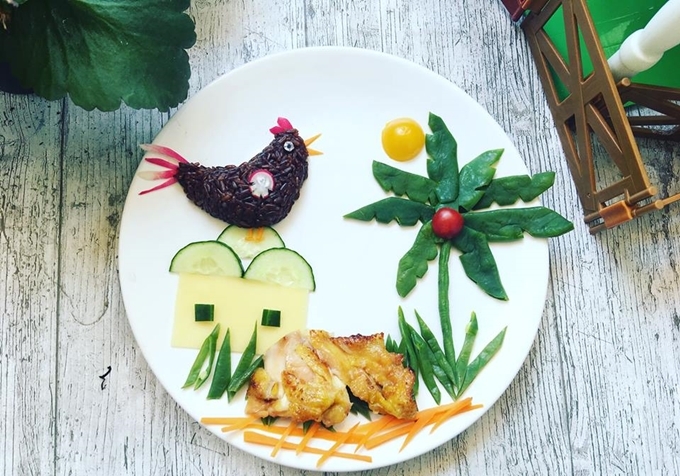 With a few eggs, rice and home-grown vegetables, it only took Lan Le 15 minutes to prepare this dinner for her children. She wanted to recreate her son Arthur’s favorite character from the bedtime story she had told him the night before. 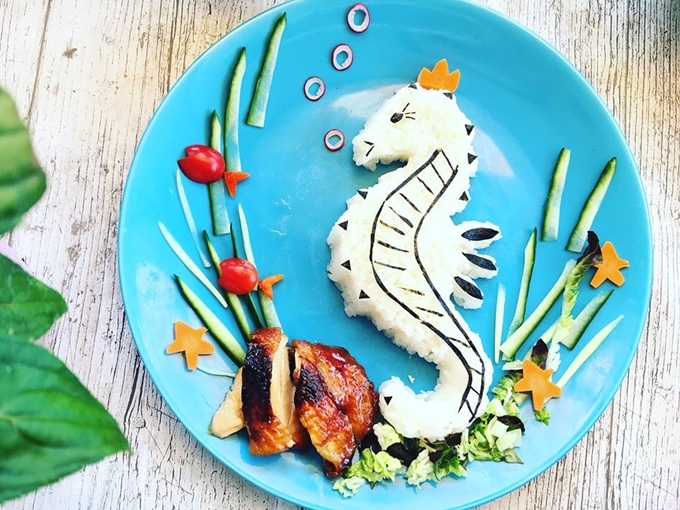 The Vietnamese mother of two lives in southern France. Lan loves to cook. 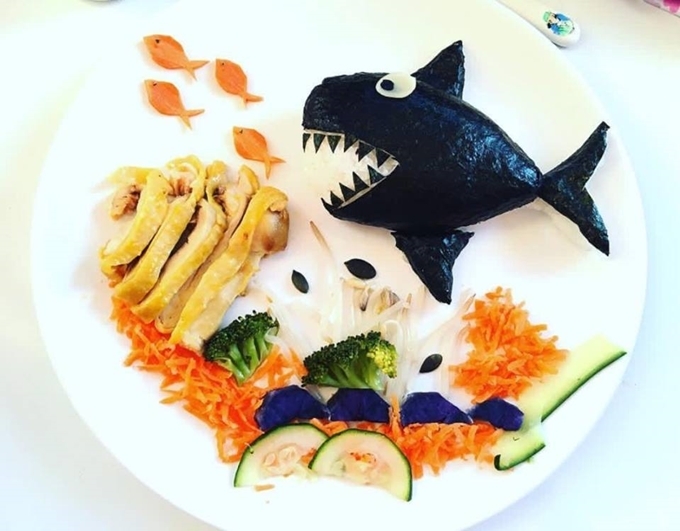 She uses her skills to turn her dishes into arts so every meal can become an exciting experience for her children. 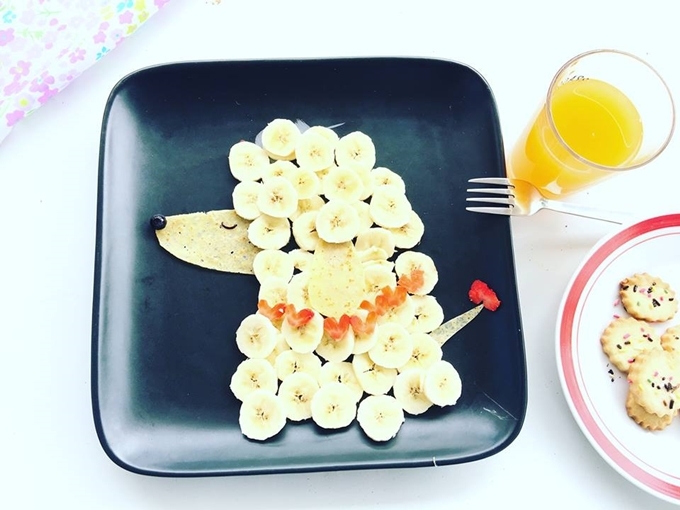 Her children Anger, 6, and Arthur, 4, are not picky eaters. 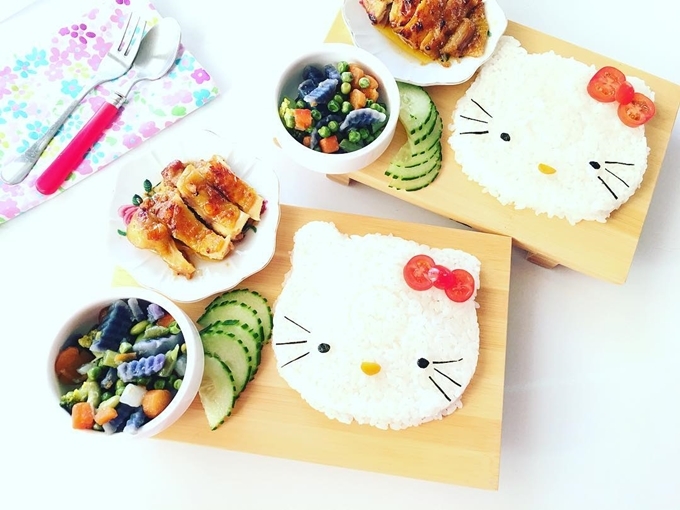 They love vegetables and fruits, especially carrot, peas, cucumber and pineapple. Lan calls this project “My Darlings’ Diaries Through Food” and records mundane details of Anger and Arthur’s lives. When playing with clay, her children ask Lan to make animals from their stories or cartoon characters. 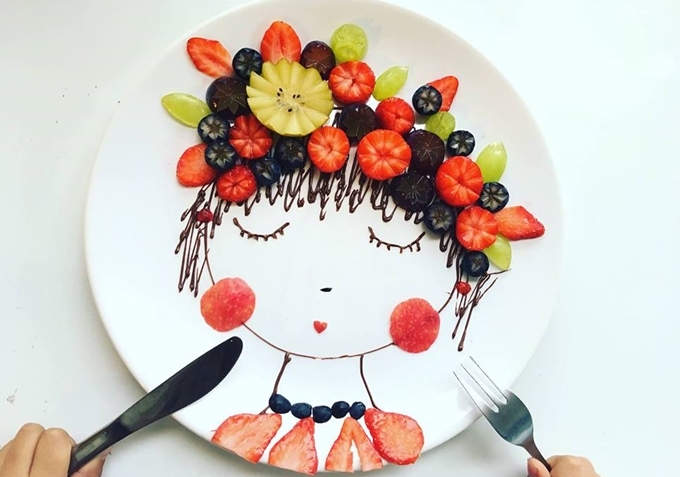 That’s when she got the idea of recreating memorable details of their life through food. Anger was so mesmerized by the beautiful creatures she saw in an aquarium that when she became reacquainted with one, she didn’t want to eat it. 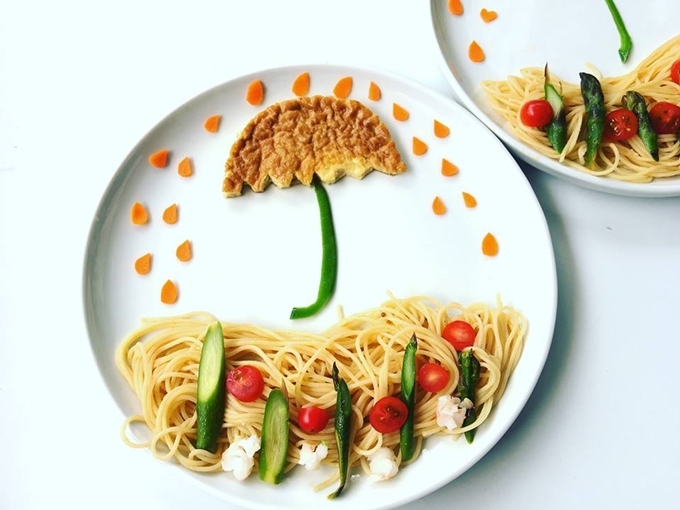 The weather forecast can be recreated with some pasta, cherry tomatoes and a piece of bread. This is how Lan cheers up her children on rainy days. 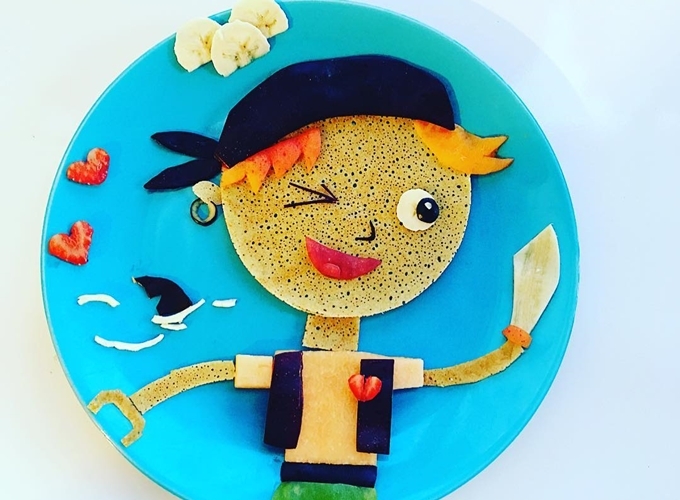 Arthur thinks he is quick and witty as a pirate, so his mother created this cute image for him. 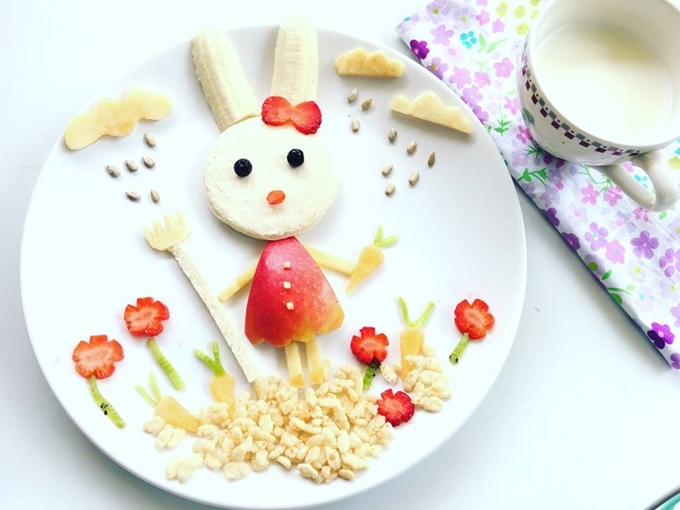 This bunny was an Easter special created from fruits and nuts. 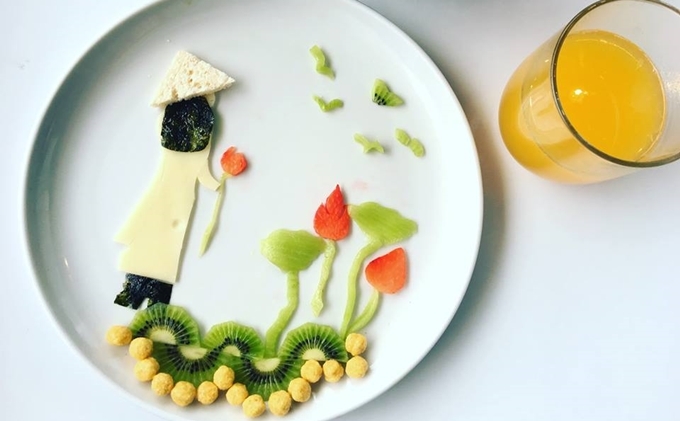 This Vietnamese mom wants to remind her children of their origin by creating images of the ao dai, conical hat and lotus flowers. 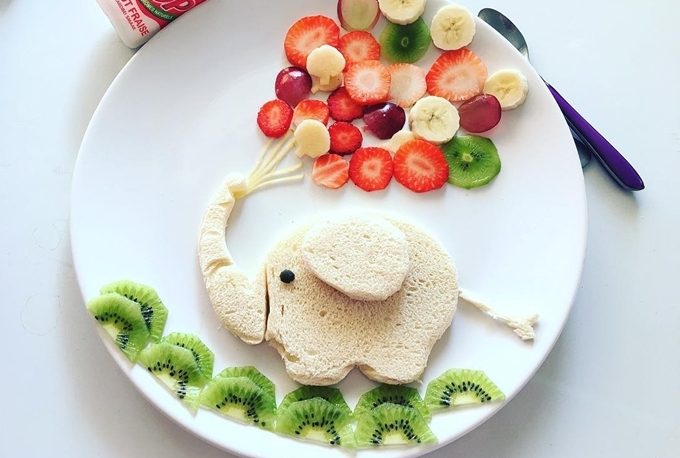 Anger and Arthur love eating fruits, especially when they are cut into cute animal shapes. Most of the meals are made from whatever food that is already there in the fridge.